Our Mobile Home Inspection Service in Orange County California, specializes in Title 25, Health and Safety, Mobile home and manufactured home inspections. We travel to the mobile home site, spend a little over an hour inspecting the mobile home, then we generate a 9 page report with detailed photos and estimated costs of repairs. 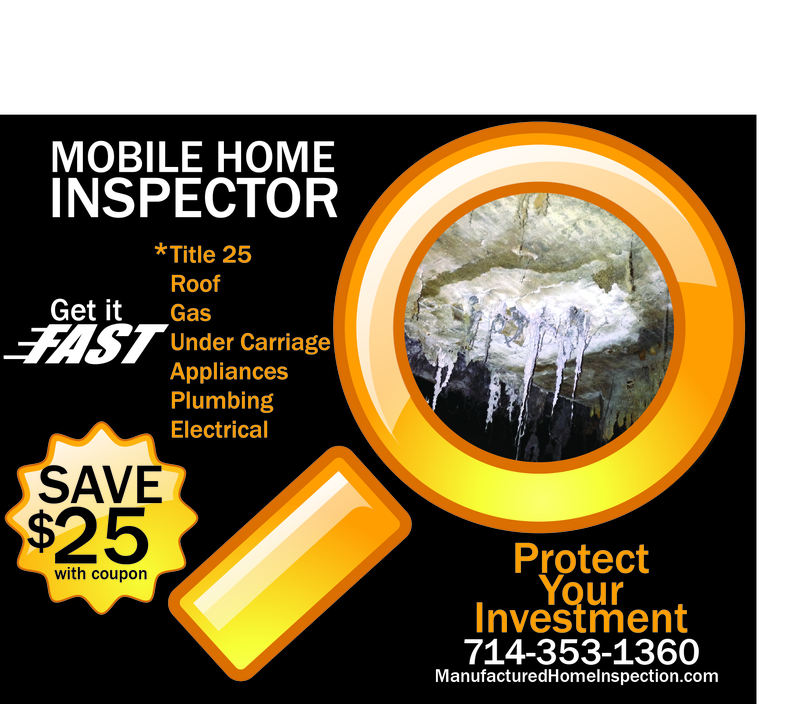 Contact Mobile Home Inspector Now! We are expert Mobile Home Inspectors, specializing in Mobile Home Inspections throughout Orange County California. We are expert Maufacturede Home Inspectors, specializing in Manufactured Home Inspections throughout Orange County California. Our Services cover all Health and safety related items as written in Title 25. We inspect all aspects of the mobile home plumbing, electrical, gas, water and structural. Yes we go on the roof and crawl under the home!